Working offshore is highly specialized and technical, requiring proper training, experience, and safety measures. Many offshore workers love their work’s daily excitement and challenges, an attractive opportunity to those with strong work ethic and problem-solving skills. Thousands of men and women join the maritime workforce each year as shipbuilders, dockworkers, and a multitude of other offshore positions. The allure of offshore work can often obscure the dangers that come with it. The different types of offshore accidents that may occur can be serious, leading to severe offshore injury. Offshore employee injuries in Texas should not be a part of the job. Like any workplace, the platforms and ships that employ maritime workers should be as safe and accident-free as possible. If you have been injured while working offshore, Richard J. Plezia & Associates can help. From 2001 to 2010, over 1,300 offshore accidents were reported. What are some common types of offshore accidents that cause injuries and deaths? Barges and Tug Boat Accidents. The types of equipment onboard a barge and/or tugboat provide opportunity for slips, trips, and falls. Equipment like winches, heavy ropes, chains, and straps can leave seamen with severe bone injuries. In the most severe cases, crewmembers have been killed when winches and towlines wrap around the body. Offshore Drilling Rig Accidents. Life on the rigs can be hard work. Weather conditions, long hours, and heavy machinery mix to create an injury prone environment. Fires are dangerous and account for many oil rig deaths each year. Equipment Failures. The weather and the salt water can wreak havoc on offshore equipment. Properly checked and maintained equipment will continue to function well, keeping maritime employees safe. When equipment is allowed to age and deteriorate, it presents and real danger in many forms: burns, electrocution, crush injuries, and mechanical failure. Deck Accidents. Slipping or falling on the deck of a boat, barge, or rig can result in serious injury. Being struck by cables and heavy loads will do the same. 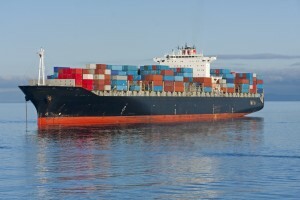 Deck accidents are avoidable by following regulations and safety rules. If negligent crew, owners, or operators caused your injury, contact Rick Plezia today. Chemical Accidents. Part of maritime work involves interaction with and exposure to chemicals. Chemicals used offshore can pose a serious respiratory and burn threat that can cause lifelong ramifications. What Causes These Types of Offshore Accidents? If an offshore accident caused you injury, contact Richard J. Plezia & Associates today to schedule a consultation with our Houston maritime attorneys. We take offshore employee injuries in Texas seriously, fighting for a just and timely recovery for your injuries and the financial damages that result.